Flutist Lauren Sileo has been described by Xinhua News as "...an artist full of energy and fine musical lines, always with the composer in mind." A versatile musician, Sileo performs as soloist, chamber musician and orchestral player. She has appeared throughout the United States, Canada, Europe, Asia and Australia at major concert halls including Carnegie Hall, Avery Fisher Hall (New York), The Kennedy Center (Washington D.C.), The National Arts Centre (Canada), The National Concert Hall (Ireland), Dai-Ichi Seimei Hall (Tokyo, Japan), The National Library Concert Hall (Beijing, China) and Shanghai Conservatory's He Luting Concert Hall (Shanghai, China). Virginia born Lauren Sileo was accepted to The Juilliard School with the highest honor of Presidential Distinction, and was the only undergraduate flutist worldwide to be accepted for the 2002-2003 academic year. In 2004, Sileo was chosen to perform Debussy's Prélude à l'après-midi d'un faune with the Juilliard Orchestra. Ms. Sileo graduated in 2005. 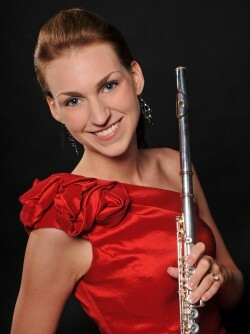 Ms. Sileo began her flute studies at the age of 9 with her stepfather Bruce K. Brown. Her principal teachers include Emily Skala of the Baltimore Symphony Orchestra, Toshiko Kohno of the National Symphony Orchestra, Soloist Carol Wincenc and Robert Langevin of the New York Philharmonic, with whom she studied at Juilliard and at summer masterclasses at The Orford Arts Centre in Quebec. An avid performer of contemporary music, Sileo was a member of the New Juilliard Ensemble, with whom she performed the works of many of today's leading composers. Ms. Sileo was Featured Soloist in 2009 with Washington's Capital Wind Symphony performing contemporary composer Anthony Plog's Flute Concerto. In 2015, Ms. Sileo was invited to perform at the Cabrillo Festival of Contemporary Music under Maestra Marin Alsop. On February 10th, 2011, The Chinese Embassy invited Ms. Sileo and pianist Bryan Wagorn to perform at their Chinese New Year Celebration in front of the Chinese Ambassador to the United States, Ambassador Zhang Yesui and 250 dignitaries at the Meridian International Center in Washington D.C. The performance was broadcast on Chinese Central Television (CCTV-4), Phoenix TV, People's Daily as well as The Ministry of Foreign Affairs of the People's Republic of China who reported "the artist's originality through their way to combine Chinese and Western cultures together." In March 2011, Lauren Sileo and Pianist Bryan Wagorn completed a two week tour of China, performing in seven different cities including Taiyuan, Beijing, Tianjin, Shijiazhuang, Hangzhou, Fuzhou and Shanghai. The Sileo-Wagorn Duo's highly acclaimed Beijing debut performance was hailed by Dongguan Daily as "...moving with countless shimmering moments" and The Hangzhou Daily called Lauren "an excellent flute player." In addition to performing, Sileo taught masterclasses at the Fujian Grand Theatre. "Take the first announcement of the Charlatan, for example. This is a nine measure flute solo with lots of indications for held notes and pauses. I’ve heard the phrase played straight with little or no nuance; I’ve also heard it rushed, as though the soloist was in a hurry to get on to the sparkling Russian Dance that follows it. But in the hands of our flautist, Lauren Sileo, the phrase sounded like a magical incantation: The intonation was seductive and mysterious; and the pauses were long, and they accentuated the sustained notes that followed. Suddenly we could witness just how gradually this magician was bringing his puppets to life!" Lauren Sileo stays busy as a prominent freelance musician in the Washington Metropolitan area. Local appearances include performances at The Kennedy Center, The National Cathedral, The Smithsonian American Art Museum, The Music Center at Strathmore and The Joseph Meyerhoff Symphony Hall. Ms. Sileo has appeared with the Baltimore, Annapolis, Maryland, Richmond, South Dakota Symphony Orchestras and the Binghamton and Lexington Philharmonic.